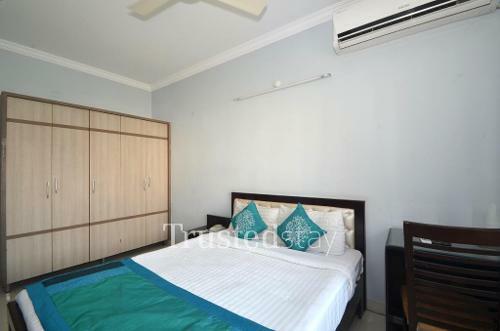 This Service Apartment in Gachibowli, Hyderabad is located in Madhava Reddy Colony. Located behind Holiday Inn Express & Suites. Just 1 km from Wipro Campus. About 2.8 kms from Indian School of Business. 16 kms from Nampally Railway Station and 28 kms from Rajiv Gandhi International Airport, Shamshabad. This Service Apartment is located in a prime residential apartment complex overlooking the golf course. This Service Apartment has 3 No. 's 3BHK units in 9th, 15th and 18th Floor and 2 No. 's 2BHK Units in 2nd and 18th Floor. 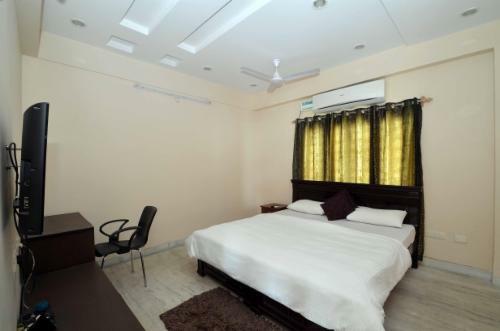 All rooms in the apartment are fully furnished with split AC, LCD TV and attached bath room. 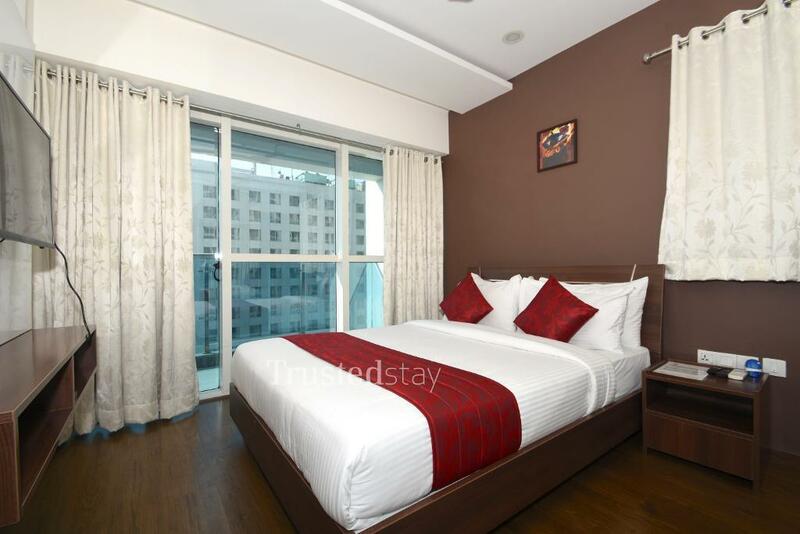 One can book either a room or a complete independent unit with fully functional kitchen. We have a in-house common kitchen in one of the 2BHK Apartment which caters to all the Apartment. 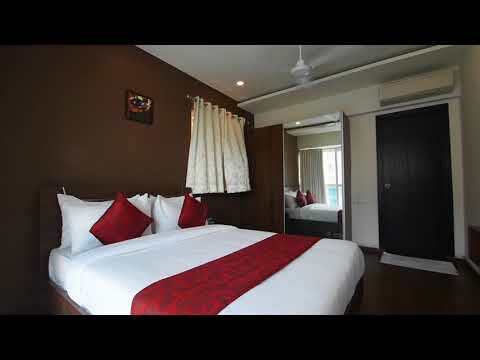 Ideal for Corporate or family stay be it short or long stay.